The Army’s five airborne infantry brigade combat teams are slated to begin fielding 300 Ground Mobility Vehicles in use by special operations forces troops this year. The legs? They’ll get theirs next year, if the funding request is approved. Thirty non-airborne Army IBCTS are slated to receive 1,700 GMVs, beginning in 2019. The autonomous ground vehicle is meant to be capable of carrying up to 1,000 pounds of gear over 60 miles in 72 hours. 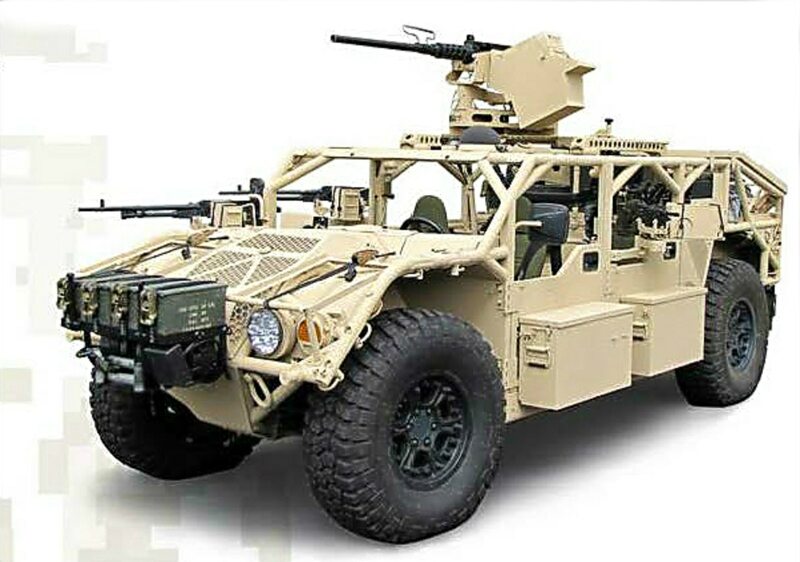 Lt. Gen. John Murray and Lt. Gen. Paul Ostrowski told members of the House Armed Services Committee on April 18 that the GMV acquisition was sped up to get the lightweight all-terrain vehicle this year rather than in 2020 as originally planned. The vehicle selected for airborne infantry units can be configured to carry nine soldiers and equipment. It is air-droppable and capable of being sling-loaded on a UH-60 Black Hawk helicopter. The version that the airborne units will get doesn’t have all the “bells and whistles” of the Special Operations Command vehicle but is the same base package, Ostrowski said. That’s because leaders are looking at a simple function – moving troops quickly. “What we needed is a capability to move in a period of darkness from a drop zone to a landing strip at the speed that is faster than the boot,” Ostrowski said. The Army chose the General Dynamics Flyer 72 as its initial purchase, according to Military Times’ sister publication Defense News. But one congressman had questions about the price tag and how it was acquired. Rep. Salud Carbajal, D-California, asked the generals why the Army went with a sole source contract and was paying $271,000 each for the vehicles, twice the cost of the Humvee. Murray explained that by modifying the SOCOM contract the Army saved money required by years of requirements to start from scratch. Though they moved quickly on picking the Flyer 72, the vehicle that hits the rest of the infantry could be different because they are competing that with other contenders originally involved in going after the contract. Other than General Dynamics, the following competed in a vehicle demonstration in 2014: the Boeing-MSI Defense Phantom Badger; Polaris Defense’s air-transportable off-road combat vehicle DAGOR; Hendrick Dynamics’ Commando Jeep; Vyper Adamas’ Viper; and Lockheed Martin’s High Versatility Tactical Vehicle, which is a version of the British Army’s HMT-400 Jackal, according to Defense News.